Señor Septic Construction & Pumping is your best choice for residential and commercial septic system installation and replacement services in the San Bernardino County area. We can install complete septic systems for new construction projects or replace just a single component, such as a failing septic tank, leach line, or seepage pit. As a fully licensed and insured C-42 septic system contractor with more than 23 years of field experience, you can rest assured that we’ll give you a high-quality, long-lasting septic system. In addition, we are committed to giving our customers superior service and keep our prices fair and competitive. To determine which tank type and size will best meet your needs, Señor Septic Construction & Pumping will provide you with a free on-site consultation during which we’ll review your property, evaluate your expected usage, and determine how to design your septic system for optimal performance and safety, which includes determining the ideal location for your tank and drainfield. We sell top-quality, durable fiberglass and concrete septic tanks in a wide range of sizes. To help you make a well-informed decision regarding your septic system, we’ll present the most cost-effective options and help you consider the pros and cons of each. In addition to septic tank systems, we’re also experts in leach field and seepage pit installation and replacement, including re-pits, as well as the installation of restaurant grease traps and clarifiers (commonly used in speedways, mechanic shops, car washes, and warehouses). With any new septic system we install, we always apply the industry’s leading practices for excavation, trenching, undergrounding piping, septic system installation, and backfilling, and follow all applicable local city and county building codes. Call Señor Septic Construction today. 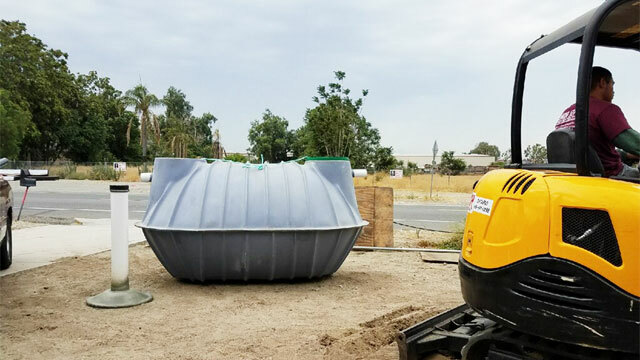 We provide free bids for septic tank, drainfield, and seepage pit installation projects within San Bernardino, Ontario, Highland, Rialto, Fontana, Fontana, Bloomington, Jurupa Valley, and surrounding cities throughout San Bernardino, Riverside, and Los Angeles County. Appointments are available Monday through Saturday. We can handle all permits and arrange any required health department inspections. Responsive, honest , reliable, and truly a caring family business. You cant say that about many septic services serving our area. Hector called me back within the hour when I was getting apprehensive about the condition of my septic. He gave me the best price, response and service on pumping my tank. I also witnessed as his workers, which include family members, helped my next door neighbor search for, locate , and excavate through concrete sidewalks to pump her septic . . .